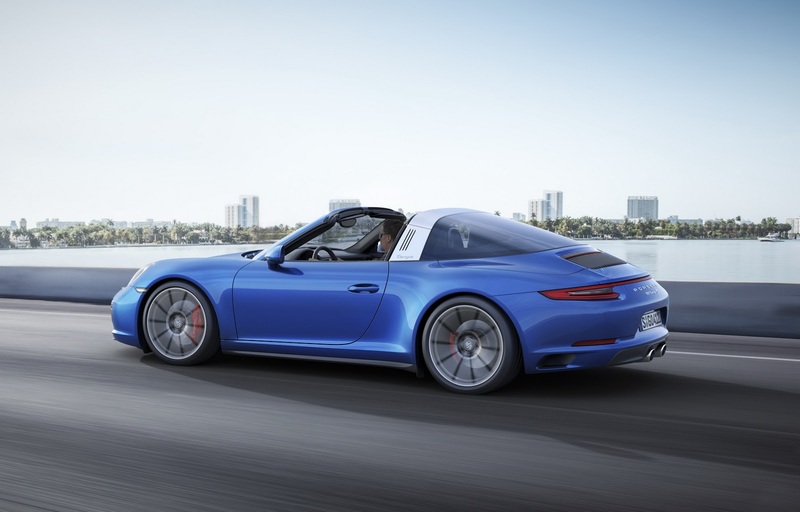 The Porsche 911’s turbocharged offensive continues with the debut of the facelifted Targa 4 and 4S, and the Carrera 4 and 4S in both coupe and convertible body styles. 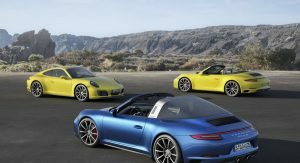 They follow the recent introduction of the rear-wheel drive 2017MY 911 Carrera and Carrera S from which they borrow the same, twin-turbo 3.0-liter flat-six. 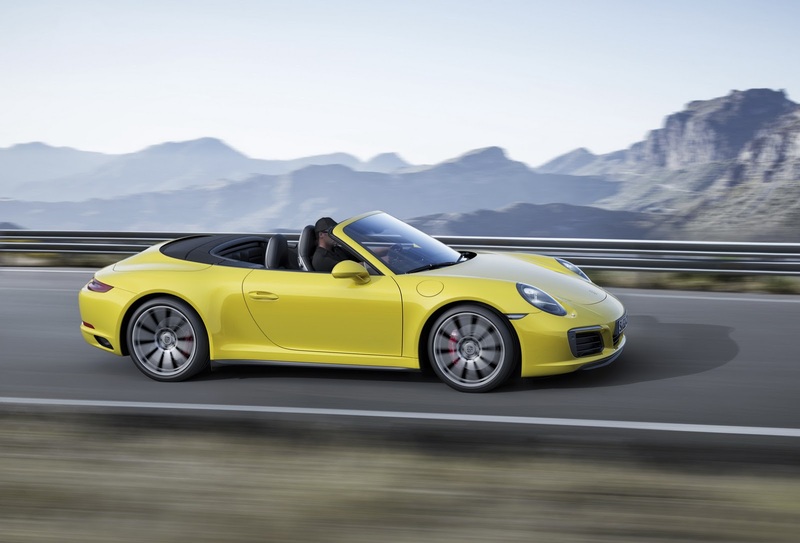 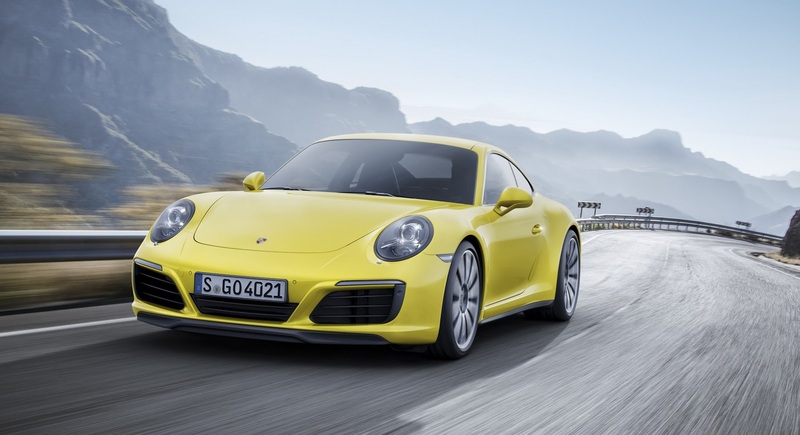 The new unit produces 370PS (365hp) and 450Nm (332lb ft) of torque in plain Carrera guise, and 420PS (414hp) and 500Nm (369lb ft) in Carrera S trim, representing a 20hp and 60Nm (44lb ft) boost respectively over the previous models. 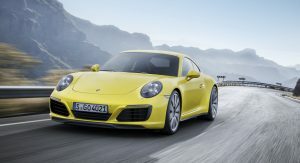 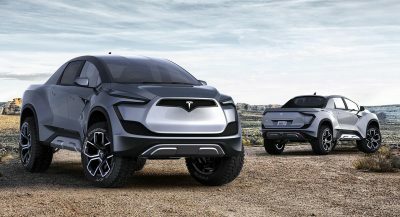 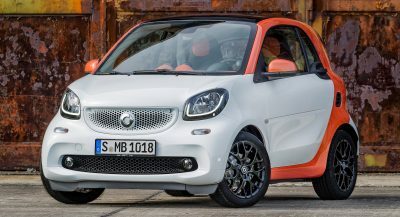 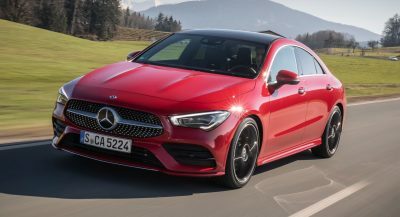 Gearbox choices remain unchanged and include a seven-speed manual and a seven-speed dual-clutch PDK transmission that now works with a faster, electro-hydraulically controlled all-wheel drive system. 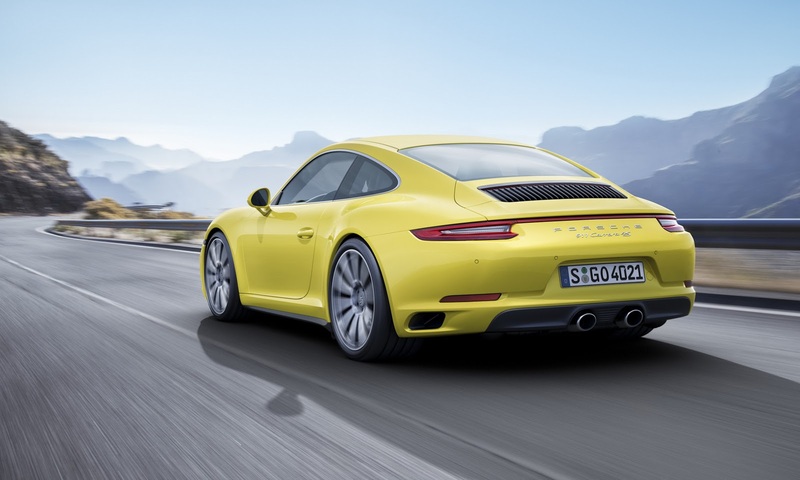 The re-engineered PASM chassis with a 10mm (0.4 inch) lower ride height comes as standard on all-wheel drive 911s. 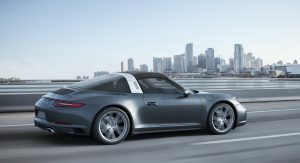 Porsche boasts that for the first time, the Carrera 4 achieves better acceleration than its rear-wheel-drive counterparts do. 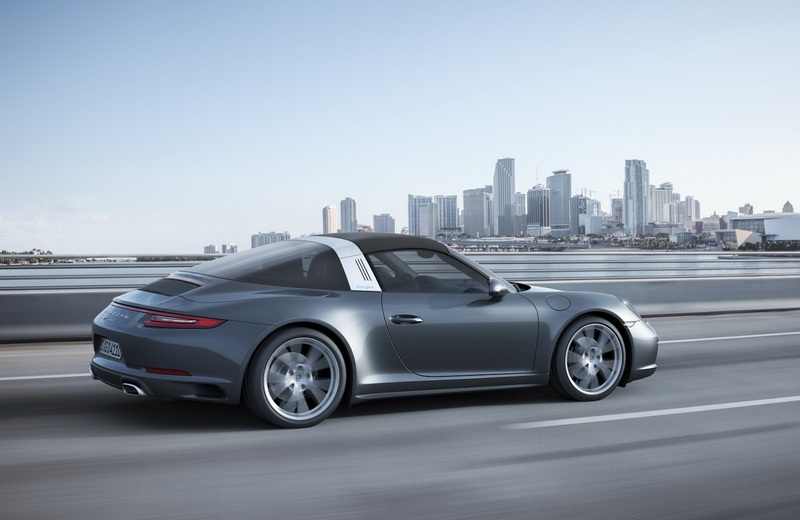 When fitted with the optional PDK and Sport Chrono package, the 911 Carrera 4 reaches 100 km/h (62mph) in 4.1 seconds (0.4 seconds less than its predecessor), with the S model registering 3.8 seconds (0.3 seconds less). 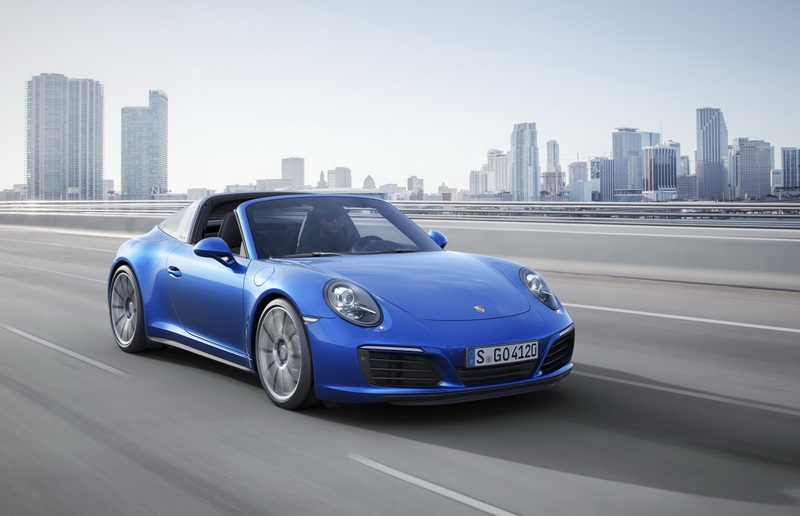 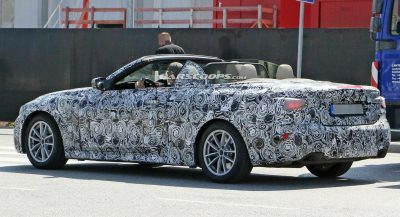 The cabriolet S and the 911 Targa 4 with the same setup take 0.2 seconds longer, while top speeds vary according to the model and equipment between 287km/h (178mph) and 305km/h (190mph). 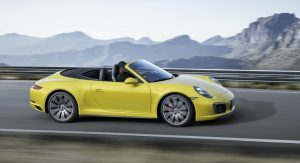 Porsche says that all models return better fuel economy than their predecessors, with the 911 Carrera 4 Cabriolet with PDK dropping by 0.8l to 7.9l/100km on the European cycle, and the 911 Carrera S Cabriolet and 911 Targa 4S, each with PDK, falling by 1.2 liters to 8.0 l/100km. 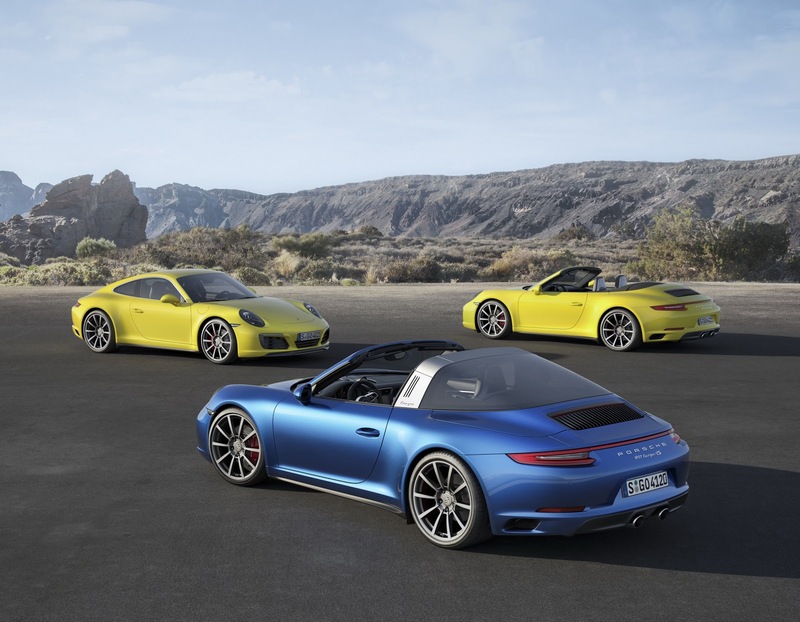 As before, you can tell that these are all-wheel drive versions of the 911 family from their 44mm (1.7 inch) wider hips and the light strip connecting the rear lights. 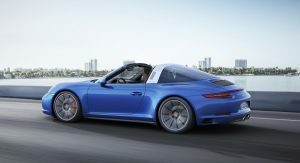 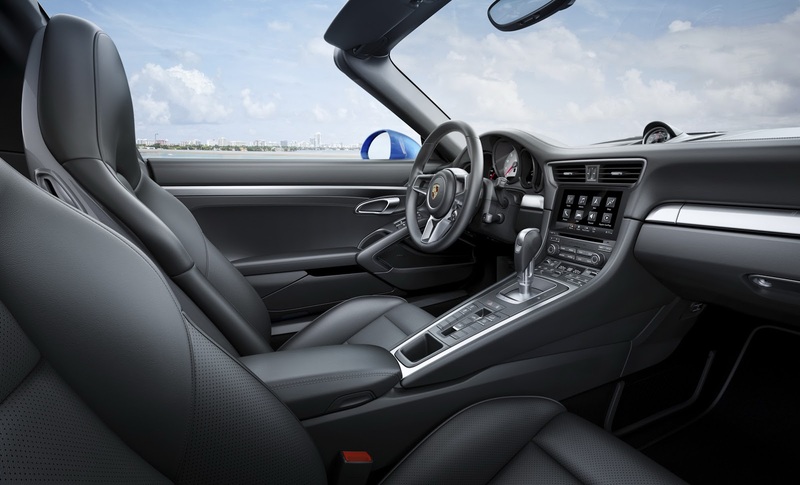 Otherwise, all Carrera and Targa 4 and 4S models feature the same improvements as their updated 2WD brethren, including improved headlights with four-point daytime running lights, tweaked bumpers, door handles without recess covers, revamped tail lamps, and a redesigned rear lid with vertical louvres. 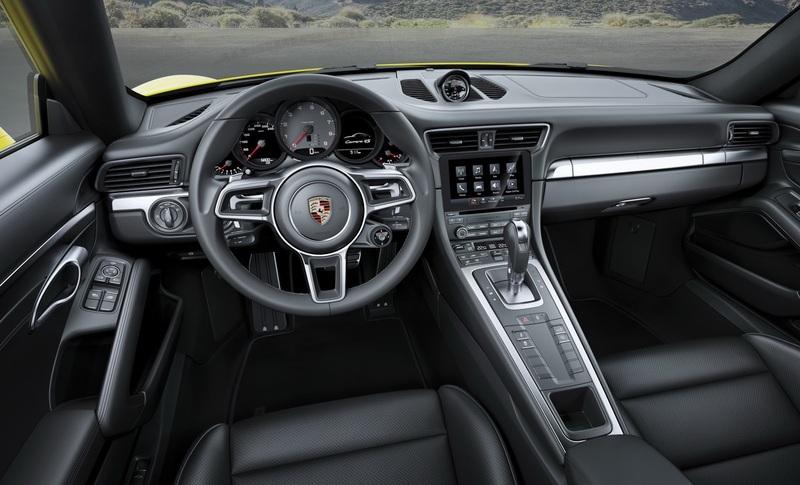 There’s also a new steering wheel design with a driving mode switch and an updated infotainment system with a 7-inch touchscreen. 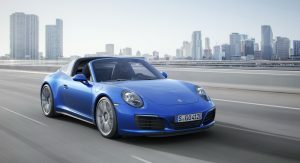 Pricing for the US has not yet been announced, but you can get a sample of European prices below. 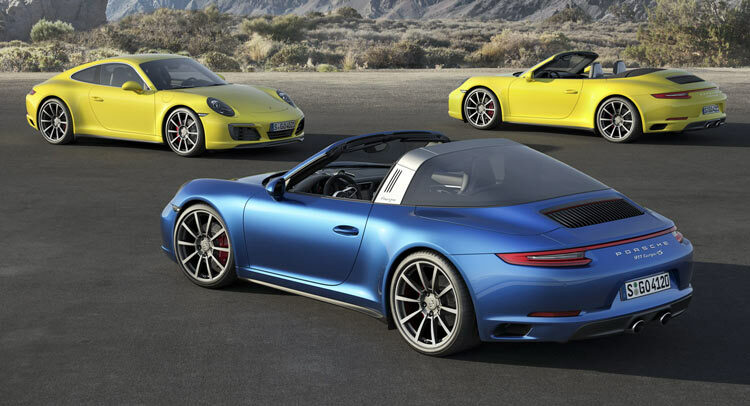 Deliveries of the facelifted 911 Carrera and Targa 4 and 4S models will begin early next year.